This is a rectangular Loth’s Stoves and Ranges porcelain sign. 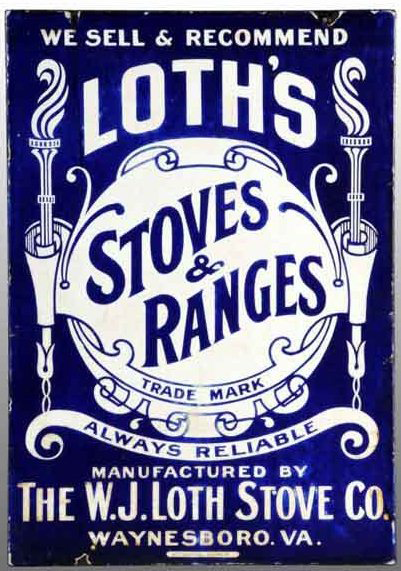 This particular Loth’s Stoves and Ranges sign is blue with white print. It reads, “We Sell & Recommend Loth’s Stoves & Ranges, Trade Mark, Always Reliable, Manufactured By The W.J. Loth Stove Co., Waynesboro, VA.” and features two decorative torches along both sides of the sign.